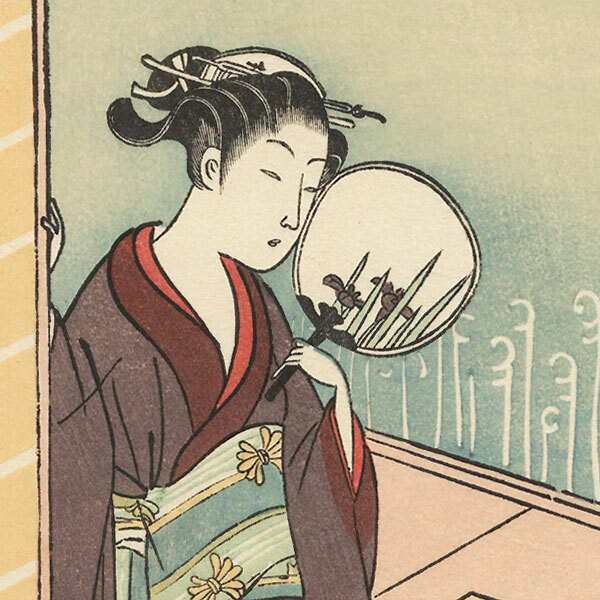 Wild Pinks: The Roko Girl - Lovely design of a fan seller carrying a stack of lacquer fan boxes on his shoulder. 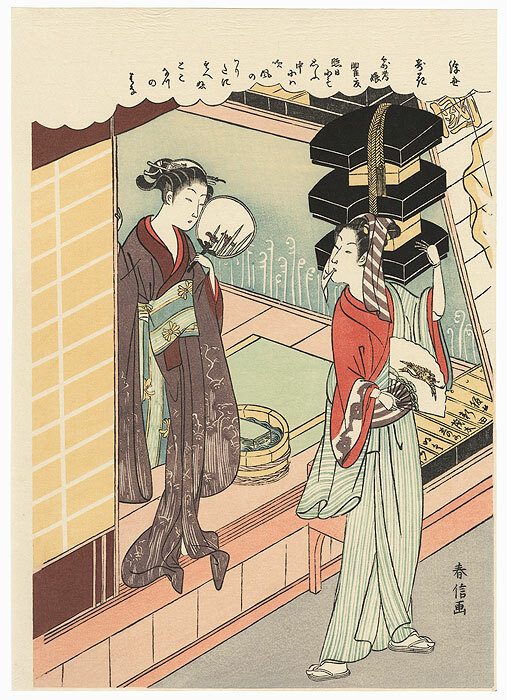 He pauses to chat with a young beauty standing in the doorway of a shop, cooling herself with an iris print fan. She wears a flowing plum kimono with a delicate design in white. 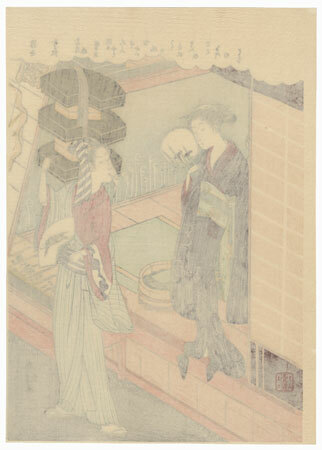 A lovely reprint of a classic Harunobu design.